The Loch Sport Boat Club was established in 1965 and is situated in Charlies Street, Loch Sport. 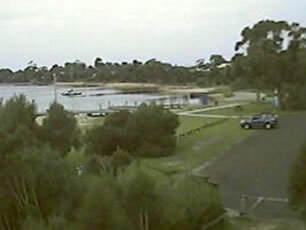 The Club has a rich history of boating on the Gippsland Lakes and has an active calendar of events most of the year. Volunteers have been the backbone of the Loch Sport Boat Club since holidaymakers formed the club in January 1965. 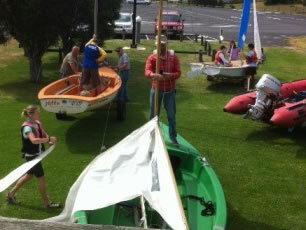 The Loch Sport Boat Club provides a Sail Training Program to promote safe & fun sailing for all ages. Events at the boat club this holiday season – everyone is welcome. Saturday morning sailing will still commence at 10 am with Greg. Usually followed by an event of the Commodores Series and a BYO BBQ tea. Have a chat and see if someone needs a crew or if you are looking for crew for your next race. If you are a financial member come to the clubrooms for the password. Members can form a sub group to get together for activities. ie kayak, fishing, cruising, travelling, photographs, music appreciation. Activities are covered by AS insurance above if activity is registered at the club. Annual subscription is $180 per family $115 for single with a once off $10 joining fee. 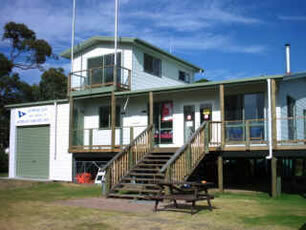 Membership includes registration with Australian Sailing.